China’s economy is the largest in the world in terms of purchasing power parity, with a $21.3 trillion estimated 2016 gross domestic product ("GDP"). Before 2009, very few international investors were interested in the the country because of the government’s tight grip over everything from investments to currency valuations. Since then, the government has loosened its hold and trading of stocks, bonds, and currencies has grown far more popular among investors. In this article, we will take a closer look at the country's currency, accusations of currency manipulation, and how investors can gain exposure. China’s currency is often referred to as yuan or renminbi, but the two terms aren’t exactly interchangeable. 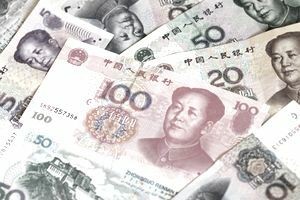 Renminbi means “people’s currency” and is used to describe Chinese currency is general, while the yuan is a unit of measure that can be counted. Therefore, one can talk about the state of the renminbi as a currency and/or any number of yuan being transacted. A good way to think of the difference is "cash" versus "dollars" in the United States. Before 2009, Chinese currency was not considered to be an international one due to its tight control by the Chinese government. But since then, the country has floated the currency’s valuation and encouraged both government and corporate bonds to be priced in yuan. In fact, companies like McDonald’s have already priced corporate bonds in the Chinese currency. The country is also seeking reserve currency status with the International Monetary Fund to widen its base. A country’s currency can make a huge difference on the dynamics of its economy. Lower currency valuations make exports cheaper, since goods are priced in the country’s local currency, while higher currency valuations make imports cheaper, since the local currency is then relatively more valuable than the export country’s currency. Countries can manipulate the value of their currency in several ways. For instance, a rapidly growing country that faces the prospects of a rising currency valuation can effectively peg their currency to one with a lower valuation. In the case of the U.S. and China, this involves China purchasing U.S. Treasuries to keep the yuan exchange rate at a certain ratio with the dollar. These strategies have resulted in China's significant holding of U.S. Treasury bonds. China has faced many allegations of currency manipulation, particularly from the United States, when it pegged its currency to the U.S. dollar. While the country lifted its peg to the U.S. dollar in 2005, it was reinstated during the 2008 economic crisis. But in 2010, the peg to the U.S. dollar was again lifted and the currency has significantly appreciated in value. The country devalued its currency in a surprise moving in 2015 to counter its slowing economy, which was a bitter pill to swallow for many competitors, but was welcomed by developed countries hoping that the country would move towards a free-floating valuation. The move also bolstered the country's case for becoming a reserve currency, although the IMF has yet to make a decision as of late-2016. Chinese currency has been off limits to international traders for many years. But these days, international investors looking to invest in Chinese currency have several options, from direct investment via forex trading to exposure through exchange-traded funds ("ETFs"). ETFs are the easiest way to gain exposure to Chinese currency, since they enable exposure through swap and forward currency contracts that involve the purchase of Chinese currency with highly rated U.S. securities. If the Chinese currency appreciates during the holding period versus the U.S. securities, the position generates a profit that is then reflected in the ETF’s price. Investors can alternatively invest on the foreign exchange (or forex) market using a strategy similar to that of the ETFs. By simultaneously buying Chinese currency and selling another currency, investors can realize a profit from the difference. But in this case, investors must use leverage as high as 400:1 in order to realize gains which makes it a riskier venture. Chinese currency is known as the renminbi with the units of currency called yuan. China’s government tightly controlled its monetary base before 2009, but recently, the country has opened up its currency in an effort to internationalize it. Investors looking to gain exposure to Chinese currency can do so directly through forex trading or indirectly through several exchange-traded funds (ETFs).